And this is how they work. 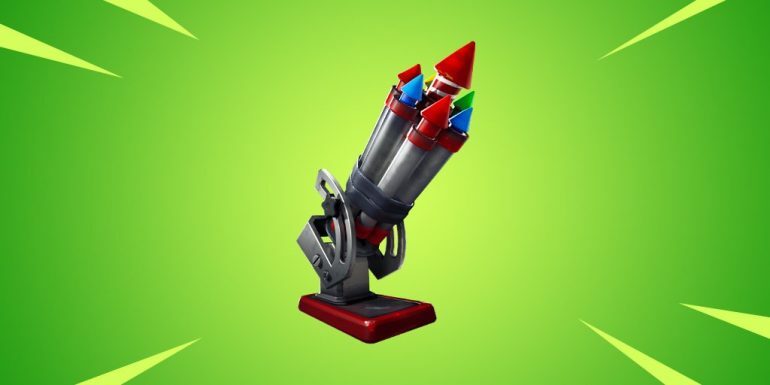 The newest explosive weapon Bottle Rockets is now available in Fortnite: Battle Royale with today’s v7.30 Content Update. They were teased yesterday in the in-game News tab and were revealed today as a throwable item. Bottle Rockets come only in Uncommon variant (green). Players will find them in Floor Loot, Chests, Vending Machines, Supply Llamas, and Supply Drops. Each Bottle Rocket fires a barrage of 45 rockets as soon as they are placed. Each rocket deals 10 player damage and 40 environmental damage per rocket, which adds up to 450 player damage and 1,800 environmental damage. Players will find them in stacks of two and will be able to carry up to six. Each player can only have two Bottle Rockets active at a time. At first, it seems they’ll be very effective in melting the base of buildings, just like most explosive weapons. Players can place them anywhere, though, and melt the area their opponents are hiding in while being able to shoot them with their regular weapons. Once the 45 rockets are launched, the item becomes useless. Bottle Rockets come as an alternative to other explosive weapons that might be a bit harder to find. It may be a good idea to use it while opponents are turtling inside their structures. Place your Bottle Rockets in a way that they’ll melt the opponent’s cover and allow you to shoot at them without a problem. Players who want to test Bottle Rockets can hop in a match right now and try to find them. They should be available to all players on all platforms since the v7.30 Content Update has just been released.